Django used only two fingers to play! - don't believe it ? In a recent radio interview guitar legend Jeff Beck was asked how he felt at coming in at number ten in a magazine poll for the greatest guitarist of all time. 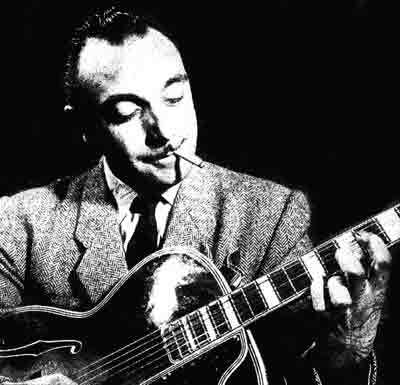 He replied that the poll was unbelievably flawed as the guitar player who he rated as the best ever didn't even make the top hundred - this of course being Django Reinhardt. Modern guitar players don't know how lucky they are with equipment guitar techs etc. 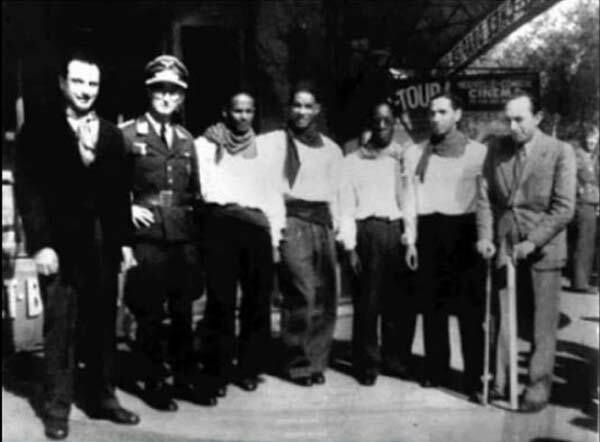 - in the 1930's when Django was well known as one of the hottest musicians on the planet he and the 'Hot Club de Paris' had a residency in Nice. At the end of the two week stint the maestro had only 3 strings left on his guitar and was using a tooth from his comb as a plectrum - such things as strings and plecs being unavailable anywhere in France outside of Paris !